Daniel Coit sketched himself wearing a great coat over a suit. He wears his hair short and has side whiskers. Title by cataloger. 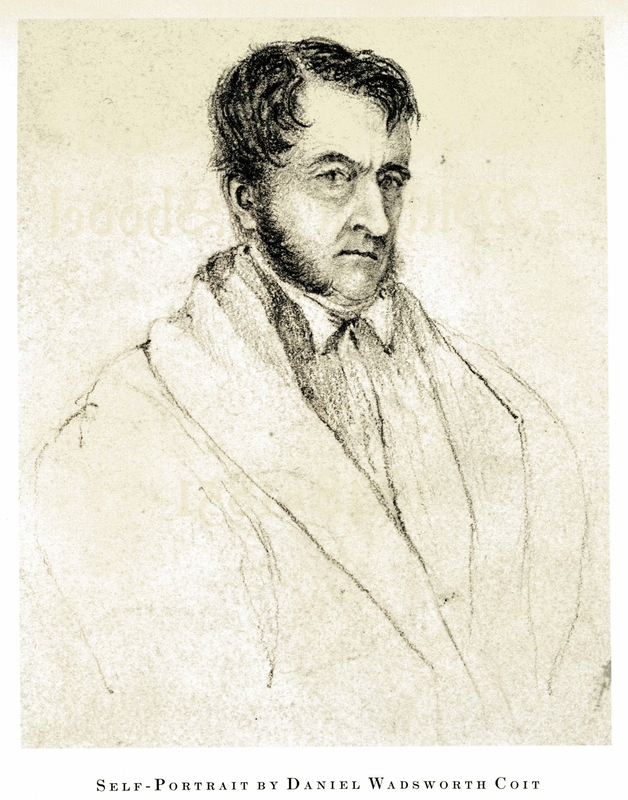 This self portrait was reproduced in Digging for Gold Without a Shovel, The Letters of Daniel Wadsworth Coit from Mexico City to San Francisco, 1848-1851 by George P. Hammond (editor) which also contains historical reproductions that Coit drew of Mexico City and San Francisco. The originals are housed in the Bancroft Library, University of California, Berkeley. The owner of the self portrait is not identified. This book is available in the History and Special Coll. dept. of the Grand Rapids Public Library.